$10 in advance or $10 and a roll of the die at the door. BYOB! Concessions and mocktails available. 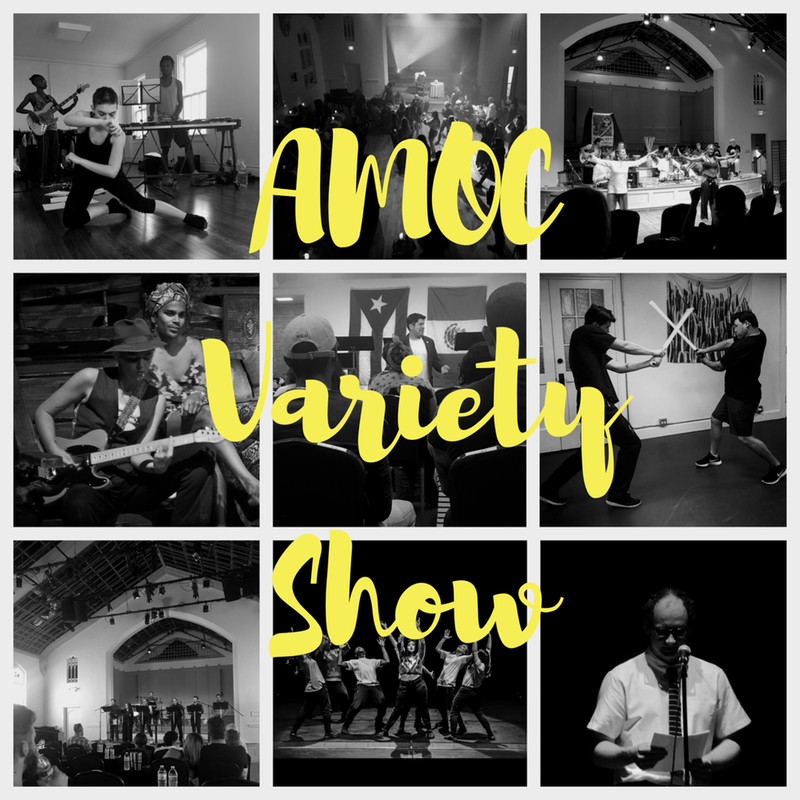 Join us for our 2nd AMOC Variety Show. A collection of local super talent taking great risks on stage. Acts are 10 mins each and each show will be a toss up entertainment- theatre, dance, standup, improv, cabaret, burlesque, magic, acrobatics, puppetry, storytelling, live music, etc. Barely or tightly rehearsed -- who knows? Like Saturday Night Live, only better...in your own neighborhood. Never a dull moment. Hosted by our very own Anastasia Munoz. We will release our monthly lineup closer to showtime. If you have an act and are interested in participating in a future AMOC Variety Show email: contact@artsmissionoc.com with subject line: Put Me In Coach.